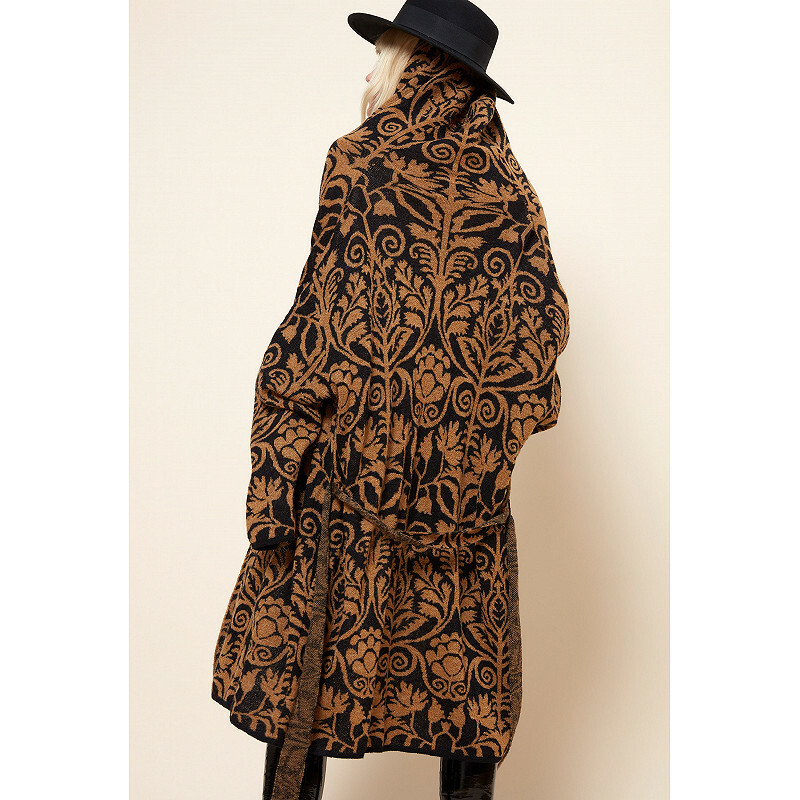 This woolen knitted coat has un lovely baroque print. It has a hood and is fastened by a botton for optimal comfort. 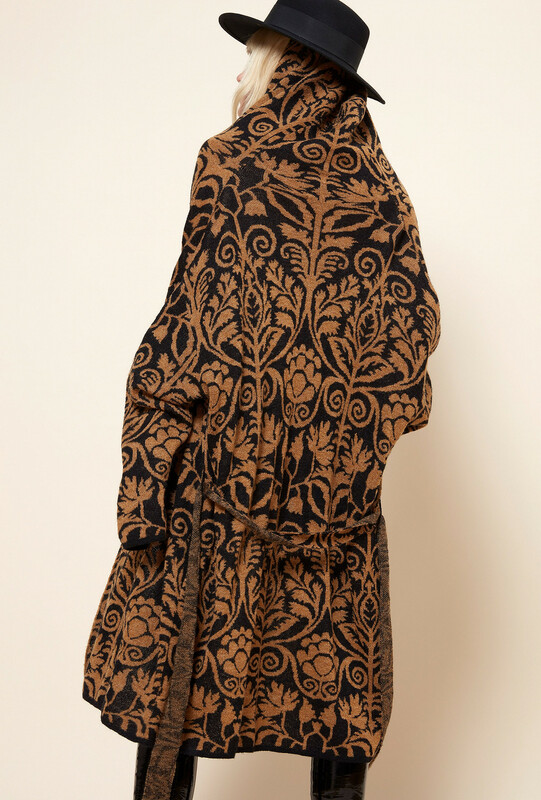 Wear it with a dress from Mes Demoiselles… Paris, for a sophisticated outfit.